Reports coming from Belgium today seem to suggest that the Swans are interested in 23 year old right back Robert Bauer from German Bundesliga outfit SV Werder Bremen. Whilst the player is understood to top Club Brugge’s wanted list, there appears to be competition from the Swans and fellow former Premier League teams Stoke and West Brom. 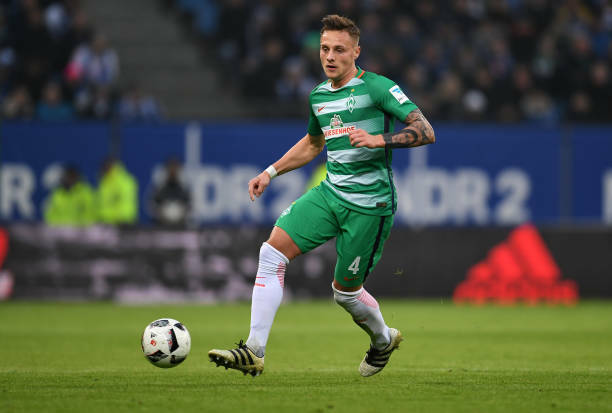 The German born player, who has previously played for Karlsruher SC and FC Ingolstadt, made 16 Bundesliga appearances for Bremen last season – picking up 4 yellow cards in the process – is contracted to the club until June 2020. Bauer who has been capped by Germany U20s and represented the German Olympic football team, lost his starting place during last season and is likely to cost in the region of £2m. How serious the Swans interest in the player is remains to be seen, but with former Swans keeper Gerhard Tremmel and now club scout based in Germany, there is likely to be some truth in the rumours. Of course, many fans will remember that Tremmel actually played for Werder Bremen whilst on-loan from the Swans in 2016.